Nicklaus, Jack with Ken Bowden. New York: Golf Digest Books, 1984. 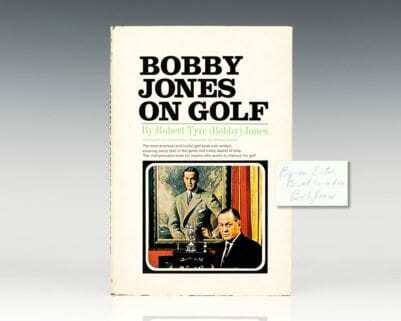 First edition of this golf instructional. Quarto, original boards, illustrated. 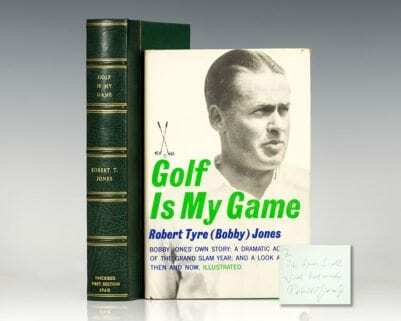 Signed on the half-title page, “Best regards Jack Nicklaus.” Near fine in a very good dust jacket. Illustrations by Jim McQueen. Jack Nicklaus is widely regarded as one of the greatest golfers of all time, winning a record 18 career major championships, while producing 19 second-place and 9 third-place finishes, over a span of 25 years. My Most Memorable Shots In the Majors. 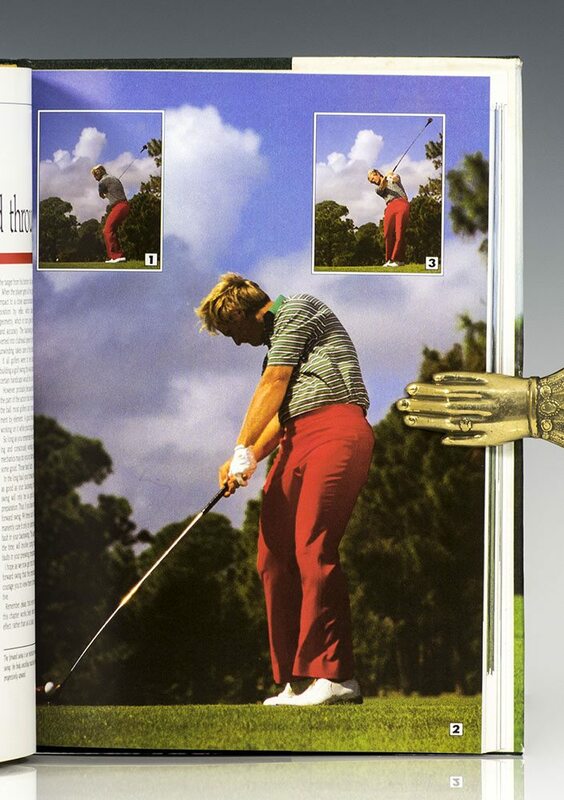 New York: Golf Digest Book, 1988. First edition. Quarto, original cloth, illustrated. 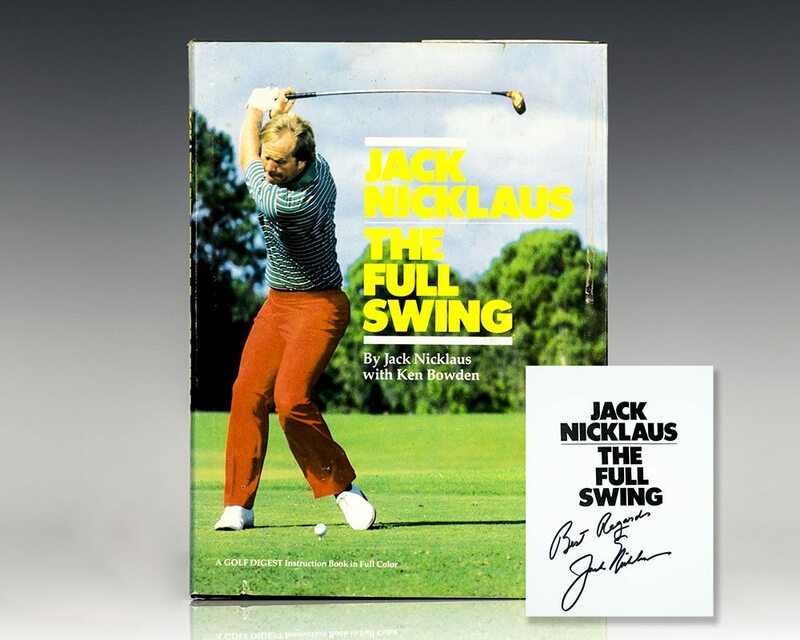 Signed by Jack Nicklaus on the title page. Illustrations by Jim McQueen. Gift inscripton on the front free endpaper, else near fine in a very good dust jacket. Jacket design by Nick DiDio.